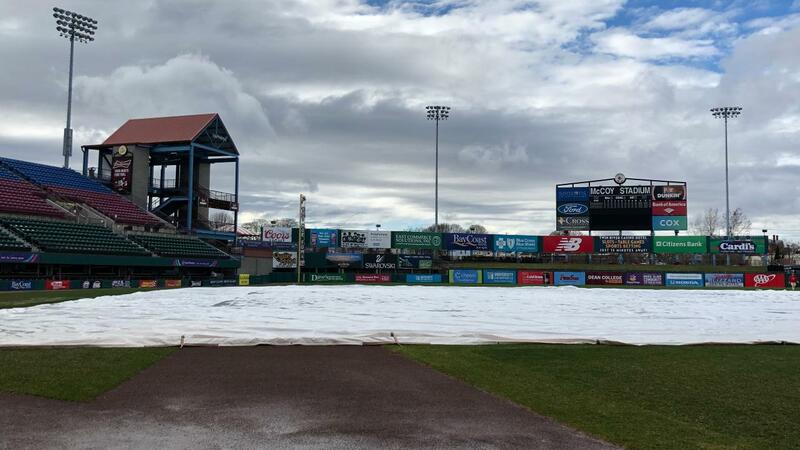 The Bisons scheduled game against the Pawtucket Red Sox on Monday night at McCoy Stadium has been postponed by rain. The teams will make up the game as part of doubleheader on Tuesday, April 16 from Rhode Island. The first of two seven-inning doubleheaders begins at 4:05 p.m.
Jacob Waguespack is scheduled to start for the Bisons in game one with Shawn Morimandogetting the start in game two. Fans can catch all the action on ESPN 1520 AM or with an MiLB.tv subscription..